One of my favorite songwriters is Leonard Cohen. At long last, the rest of the world has acknowledged the Montreal born artist. Sunday night in a ceremony at New York's Waldorf-Astoria Hotel, Cohen was inducted into the Rock and Roll Hall of Fame. He joined Madonna, John Mellencamp, Gamble & Huff and Little Walter in the prestigious Who's Who of Rockers. I first met Cohen not on a CD, but vinyl. 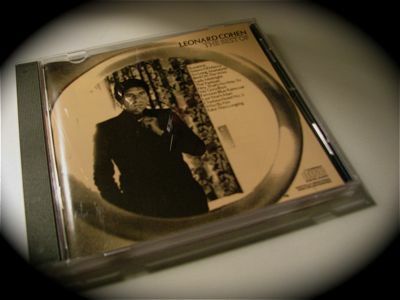 It was a well-worn copy of his LP The Songs of Leonard Cohen and contained the hit Suzanne. Of course I liked it -- it was my song, even though my name was Susan. I recently picked up a copy of Book of Longing. It's his collection of poetry, 20 years in the making, written in California, Montreal and Mumbai. It includes his playful line drawings. This summer, the Festival International de Jazz de Montréal's (Montreal Jazz Festival) line-up includes Leonard Cohen. Organizers say it’s a rare and long-awaited visit from the 73-year-old singer-songwriter. He will perform three pre-opening concerts on June 23, 24 and 25, in Salle Wilfrid-Pelletier, Place des Arts. Tickets go on sale Thursday, March 13 at noon (Montreal time) by logging onto http://laplacedesarts.com or http://admission.com. To talk to a live person, call 514.790.1245. Read Mark Lepage's feature about Cohen and the ceremony in The Gazette.